Eye In Sky Weather is for those who like their weather clean, simple and beautiful. 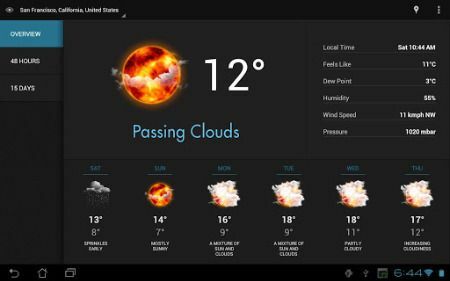 The Eye In Sky Weather app includes 13 of the best weather icon sets available, with the ability to add your own icon sets. Four widgets are available which are highly customizable.